Trip around the world is one big adventure. Or next aim became 3 places in Utah that were Canyonlands, Arches & Monument Valley we visited during our road trip in the US Southwest. It was a great idea! 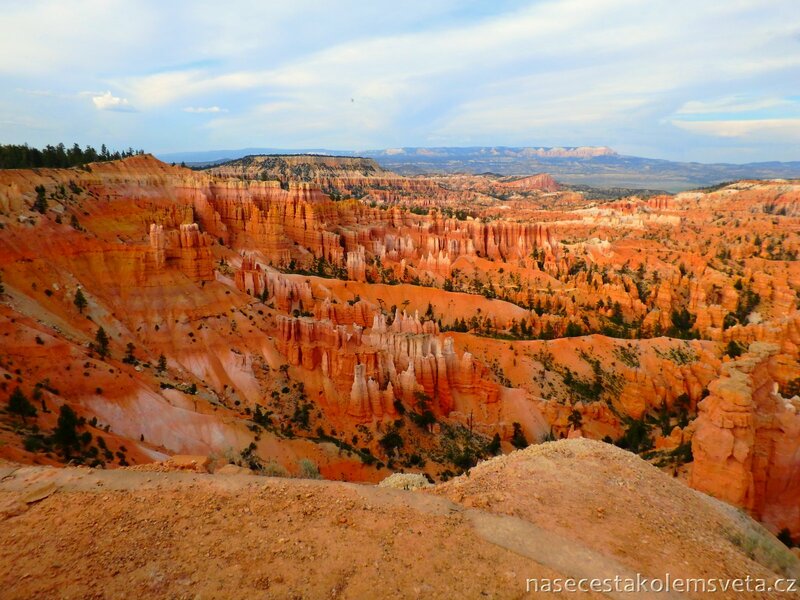 After Bryce Canyon and Goblin Valley there were another surprises waiting for us! We again only observed everything with mouth wide open for beauties located in these places. We arrived in Canyonlands National Park towards evening. We set out to the part called Island in the Sky. At the beginning we had a problem to find a camp but in the end we succeeded and pitched up our tent in Willow Flat Camground. The night cost us 10 USD/night. We did not have to pay the entrance fee thanks to the National Park Pass. Without the pass it is 25 USD/7 days/car up to 15 persons. The place was strategic as it was located very close to the Green River Overlook where we headed the other morning to see the sunrise. It was amazing to observe how Canyonlands was getting so colorful thanks to sun rays right in front of us. Similar we saw also at Grand View Point Overlook where we drove by car. 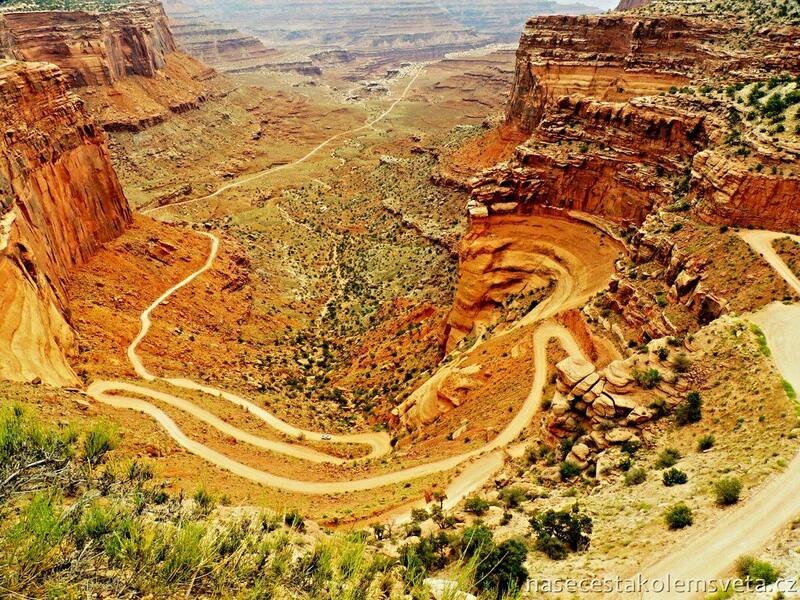 And of course we did not forget other overlooks situated in Canyonlands National Park. Each place has its own spark and views are so different. It is a very short drive to get from Canyonlands to Arches. But both parks are totally distinct from each other. 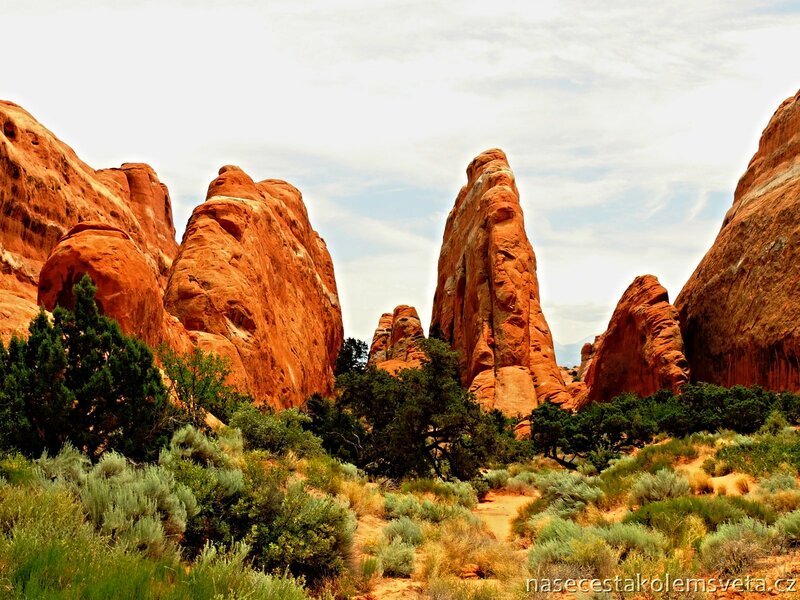 So we packed our stuff after rich breakfast and went to see natural sandstone arches what Arches National park is famous for. Entrance fee is same like in Canyonlands but Arches are worth it! They are giant and beautiful. We have to state again we have never visited place like this. With an admiration we stopped at every vista point and sometimes even away of them to enjoy our time there and make amazing photos. Within couple of hours we reached the last point Devil’s Garden Trailhead, where we hyped up and even though it was so damn hot it there we went for a short hike. We could have survived to be outside for an hour. All we had to do was taking plenty of water and cover our heads. After spectacular hike we went to eat something in Moab. We also worked there a bit, managed where to sleep that night and then moved on. 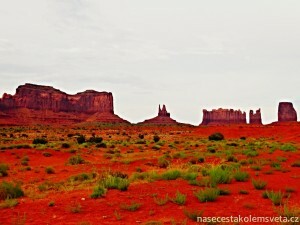 Travelling in the USA took us to the Monument Valley aka Marlboro Country. There were shot many advertisements for cigarettes. Monument Valley made also famous Forest Gump Film. It is possible to drive all Monument Valley by car or motorbike. 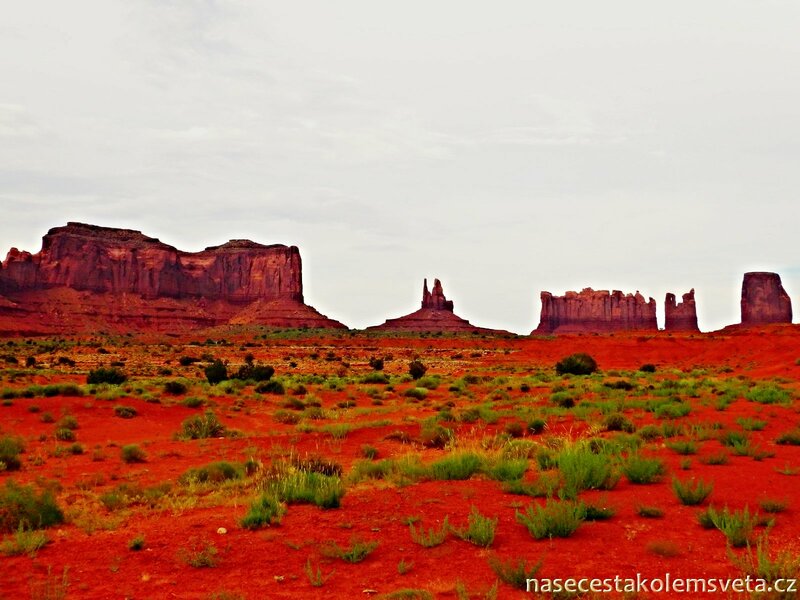 National Park Pass is not valid here because it it is Navajo Tribe land, therefore everyone has to pay 20 USD. We did not go there because it seemed that all necessary and famous you can see from the road around. We made so many beautiful pictures just like that and do not think we would be more impressed if we entered the park. 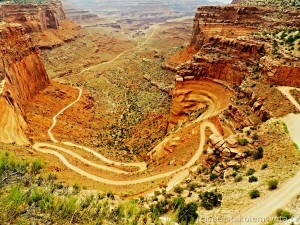 That is why we continued in our road trip in the US till we crossed the border line between Utah and Arizona. 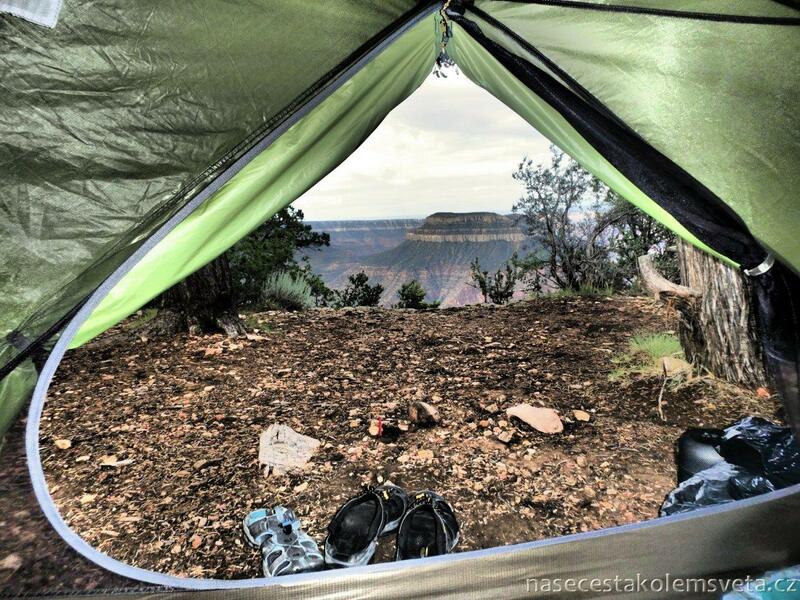 In Arizona we headed towards Page Lake Powell Campground where we camped out for 19,41 USD/night. Close to this campground there is the Antelope Canyon. We initially wanted to go there but when Indians from Navajo tribe asked for 48 USD/person for only 30 minute sight (you are not gonna be inside the canyon longer) we decided to simply drop this place and headed towards Grand Canyon.